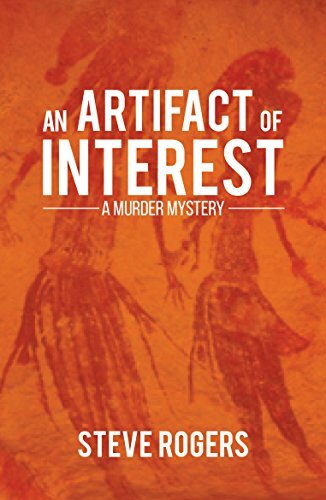 Western Australian author Steve Rogers’ novel An Artifact* of Interest is so filmic in character that you’ll excuse me for referencing some Australian movies in this review. It’s a murder mystery set in the Kimberleys with the little-known Bradshaw cave paintings at the heart of the plot – but no spoilers here. As a thoroughly urban Australian who rarely ventures fifty clicks from the coast, I relish the novels and films that transport me to the bush: The terrifying petty brutality of Ted Kotcheff’s film Wake in Fright; Ellen Roxburgh’s ordeal in Patrick White’s novel A Fringe of Leaves; the mystical film version of Picnic at Hanging Rock. *Yes, it’s spelt with i for a good reason: Check out the definitions of artefact and artifact. Find out about Stuart Campbell’s latest novel here. An Orwell for every age? My 1984 isn’t your 1984. “Shouty,” I muttered to my companion as the curtain fell on the Sydney Theatre Company’s production of 1984 this month. But while I’m often disappointed by theatre in Sydney, I usually get my money’s worth in the ensuing days as I ponder the reasons. There was a lot of shouting in this 1984. I was confused (as many critics were) by the stilted university tutorial at the beginning. I felt assaulted by the flashes and bangs. I thought the torture scenes had the tone of a high school play. This wasn’t my 1984. But just because Orwell’s masterpiece was a seminal text of my youth in the sixties, why should my 1984 be the 1984 of somebody born forty years after me? When I read the book, the world was lurching from one Cold War crisis to another. Young people of my generation seriously believed that we could die in a nuclear holocaust. For teenage me, Julia was the epitome of sexual emancipation. For political me, 1984 revealed the hypocrisy not just of totalitarianism, but of society per se. Vance Packard’s The Hidden Persuaders had exposed the power of advertising: Was totalitarianism so distant from the socially corrosive power of unbridled capitalism? I couldn’t possibly explain any of this to someone born in 1990. It’s all about me, and I can’t fathom what 1984 means to a me who has never known economic recession, who has probably never been a member of a trade union, whose parents weren’t evacuated from London in WWII, whose foreign bogeymen are Islamists rather than Communists. But the Sydney Theatre Company’s production gave me a clue. It took me a few days, but I got it – sort of. 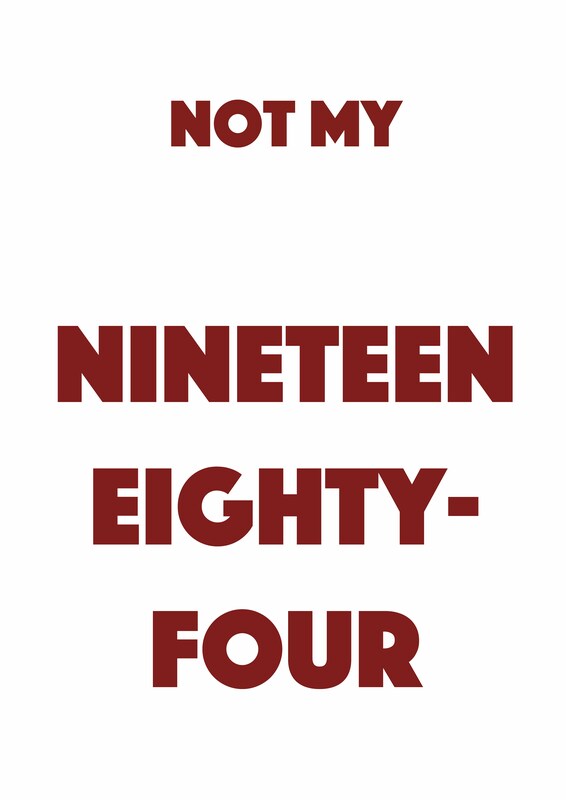 As a footnote, I used 1984 as a literary prop in my novel Cairo Mon Amour. Check out how I did it here. So this is how Brexit happened! Brexit. How the hell did it happen? OK, I confess that if I had been allowed to vote in the land of my birth, I would have voted Remain. 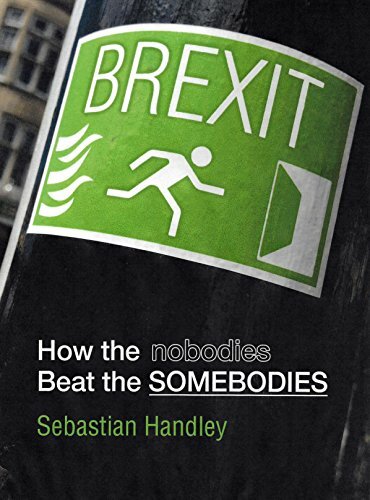 But Sebastian Handley’s Brexit: How the Nobodies beat the Somebodies gave me a long pause for quite a lot of thought. He wouldn’t have persuaded me to vote Leave, but his book gives a rare opportunity for insight into the thinking of a committed Brexit campaigner, and is a valuable corrective to the ‘them vs us’ smear that characterised a lot of the so-called debate around Brexit. Handley’s book is highly original, and as such difficult to categorise: Memoir? Handbook for revolutionaries? Political manifesto? Structurally, it’s couched as a breathless series of diary entries. Stylistically, it’s Spike Milligan meets The Young Ones (influences Handley acknowledges at the beginning of the book). The narrative voice is somewhere on a cline from faux-naif to skilled orator. There’s also a love story woven into the gaps between Handley’s indefatigable campaigning for Leave in Brighton. And in the end, Handley answers the question How the hell did it happen? Through quintessentially British amateurism, with small squads of loosely connected enthusiasts bashing out leaflets and learning how to dodge the slow-moving ideological missiles of the Remainers. If like me, you’re still baffled by the Brexit vote, this is essential reading. If you’re a Leaver, read How the Nobodies beat the Somebodies, and have a well-deserved gloat! Stuart Campbell’s novel Cairo Mon Amour is published 30 June 2017. Click here for details. 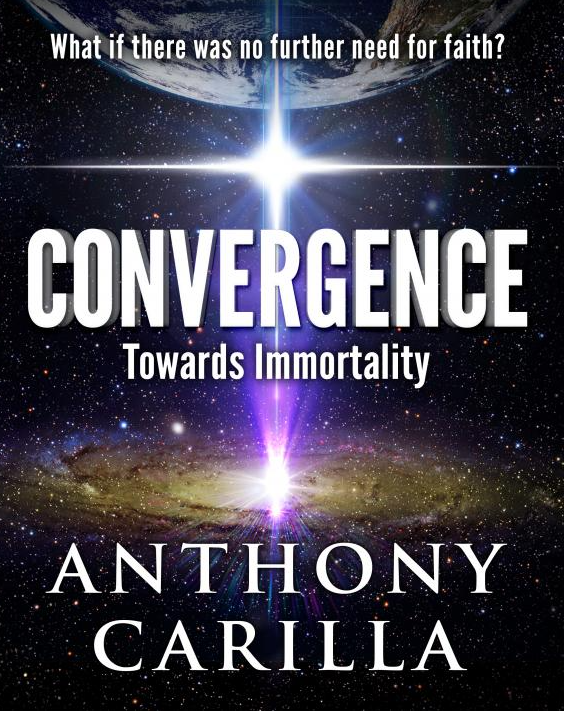 Anthony Carilla’s debut novel Convergence takes on the core question of our existence. This audaciously ambitious book builds on physics, biology, pharmacology, brain science and theology to create a complex thriller that goes way beyond the mundane. That’s not to say that that the conventional elements are missing: There are dashes of romance and action to balance the slow-burn plot, and the settings are seductive – the jungles of Cambodia, high-tech laboratories in Europe, and the super-luxury playgrounds of a billionaire businessman. Carilla takes some big risks with this book: A large cast of characters, attention to detail that can sometimes overwhelm, and a lot of science. But the gamble pays off, with compelling portraits of the main protagonists, and a sense of inexorable progress towards an ending that promises to blow the reader’s spiritual socks off. I confess I didn’t see the simple one-sentence conclusion coming, even though the hints – in retrospect – were there along. Convergence is a book that will provoke a plethora of questions across the spectrum of readers from the faithful to the faithless. Some will question the science, especially the claims for quantum mechanics (but then it is set in 2038), and some will have reservations about the beneficence of big business and the US government in these days of the Trump ascendancy. But the sublime central message of the book will have universal resonance. Convergence will be published by Austin Macauley Publishers Ltd. in the very near future. 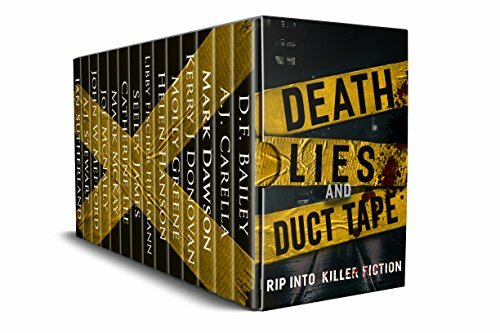 I was given an ARC by the author and asked to provide an honest review.